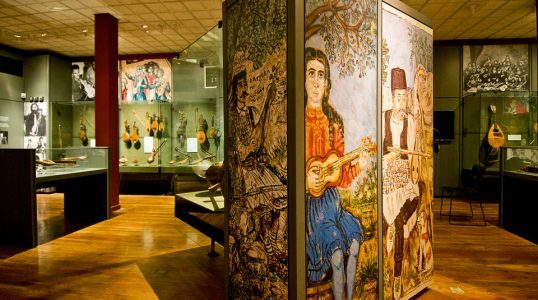 The Museum of Greek Folk Art consists of five complexes including the Museum of Greek Folk Music. The main building is currently closed and moved to a new location. The other annexes are the Tsistarakis Mosque, the Bath House of the Winds and the Museum at 22 Panos Street. All the annexes are within walking distance from one another. The museum depicts Greek Folk Art from the 17th century until the 1970s with exhibits on subjects such as traditional clothing, ornaments and everyday objects.